If you have any wiring issues with your vehicle we are ready to help! Fastlane Autocare is an established, locally owned auto-electrical specialist company. We have over ten years' experience of dealing with vehicle electrics. Along with the extensive range of diagnostic equipment we hold and use, we are confident that we can solve any electrical issue or fault. We guarantee a fast and effective, professional and reliable service to get your vehicle safe and running again! Whether your vehicle is a car, van, motorbike or even a trailer or HGV, it is necessary to be aware of the complex systems of electrical wiring, fuses, and resistors that can fail at any time! Often many auto electrical faults are caused by minor issues that can be fixed immediately, however, it is important that these are investigated thoroughly to ensure complete safety and effective repair of your vehicle. We use the latest diagnostic technology and technical knowledge to fault find any issues with your vehicle no matter what sort of trouble you may be having with your vehicle our team are ready to help! You can be assured that we will quickly find and diagnose the issue/s with your vehicle and tell you immediately the way forward to fix it. We carry a large stock of resistors, connectors and wiring as well as flasher units, bulbs, and other necessary vehicle components. This enables a fast and successful fix to your vehicle! If there happens to be a specific component needed, we are able to order this due to our established supplier and trade links. Any component that isn't carried on one of the Fastlane Autocare vans can be ordered in for the very next day! We are fully mobile Auto-Electricians which means if your car is not road worthy you don't need to worry about trying to get your car to an Auto-Electricians garage. 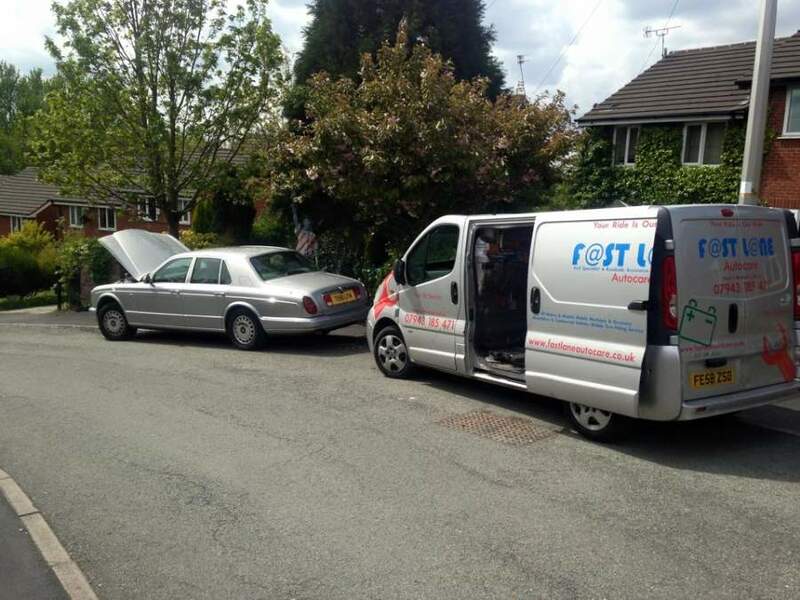 Unlike most, we come to you and can offer same day call out service on vehicle fault finding. We have Branches all over the North West area. Each of our branches is equipped to deal with any auto electrical repairs and fault finding. We are able to assist with any running issues that your car, van, motorhome, truck, trailer, plant machinery or catering trailer or boat may be having. Whatever type of vehicle, our auto electricians in one of our Fastlane Autocare branches are ready to help! We have branches in Stockport, Congleton, Trafford, Manchester, Liverpool, Southport, Runcorn, Atherton, Wirral, Chester, Lymm, Cheshire, Radcliffe, Helsby, Leyland, Oldham, Queensferry, Skelmersdale, Swinton, Trafford, Walkden, Deeside, Denton, Hale, Chorley, Bury, Bolton, Warrington, Wigan and Widnes. With a number of fixed workshops and a fully mobile service offered, wherever you are, Fastlane Autocare can help you with any auto electrical repairs and fault finding. For all of your vehicle's needs, call a member of the Fastlane Autocare team today directly on 07943185471.